Home / analysis / top lists / tv / zombievictim / 4 Reasons To See "Wet Hot American Summer: First Day of Camp"
4 Reasons To See "Wet Hot American Summer: First Day of Camp"
A sequel to the 2001 cult classic seemed about as unlikely as can be, especially with the entire cast having since blown up into superstardom. Then it happened. The announcement that Netflix would be bringing it back in an eight episode series seemed like a dream come true. The original film was already full of random moments and was willing to do anything with its story that the possibilities seemed endless. 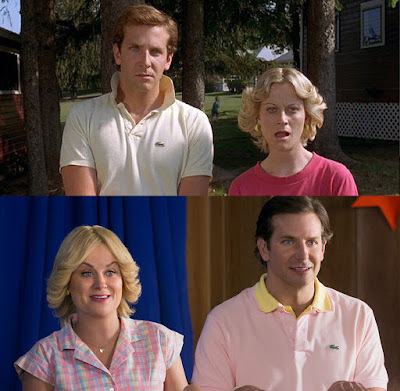 To say that the humor in Wet Hot American Summer is a little out there would be a bit of an understatement. From the literal murder of children to a huge drug binge taking place in only an hour, it's hard to outdo what has already been set up as being batshit insane. Right from the get-go you can see that there isn't going to be any problem with the show replicating the atmosphere of the film as they recreate the title sequence, complete with "Wet Hot American Dream" blaring over the montage. 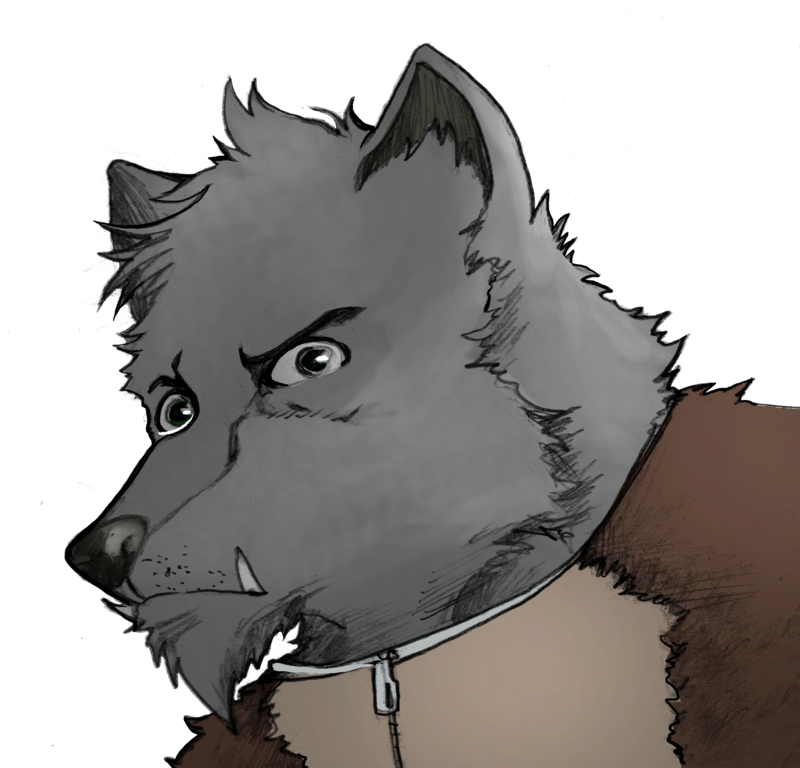 The reintroduction of the characters ranges from them just showing up, to full blown backstory driven opuses. Elizabeth Banks and Marisa Ryan's intros are particularly hilarious. Without going into spoilers, the theme most closely associated with the film, "Wet Hot American Dream" has a crowning moment in the series and makes the use of the song in the original feel even more special. 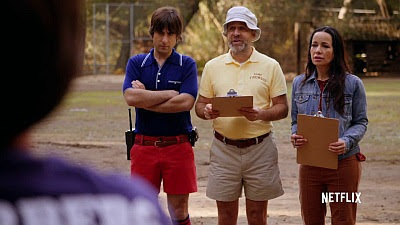 First Day of Camp acts as a TV show without ever really feeling like one. Sure, there are breaks where the episode ends, but given Netflix's format, it all feels like one big movie, which is awesome. It's like we were given a 4 hour sequel. It's harder to recapture a film's atmosphere, especially so many years after, but they manage it easily. Different characters get highlighted in different episodes, while still interspersing enough of everyone that it doesn't feel as disjointed as Arrested Development Season Four did. Given that even more time has passed for this series than AD, it makes the smooth transition all the more applaudable. By now you realize that absolutely everyone from the original makes an appearance. It's easy to tell who had busy schedules and therefore didn't have many scenes with a variety of cast members but they still show up and slip back into the roles they made a decade prior with ease. The excuses made for character absences are fun and don't feel detrimental to the story. The writer's even have fun with it, at one point putting Bradley Cooper's character in a ski mask for a party scene that the actor clearly couldn't attend. They don't try to hide it, but they often don't have to, with the cast somehow finding in time in their schedules to shoot more than just bit cameos. If you've seen any of the trailers, then you've seen that these names were involved in the series, but I apologize if you still consider this spoiler territory. Turn back now. Okay, now that those whiners are out of here, let's talk cameos. Jon Hamm and Kristen Wiig show up for a little bit, and while they don't have scenes with many, they add to the weird characters that inhabit the world. This could easily be a cartoon with its wacky universe. 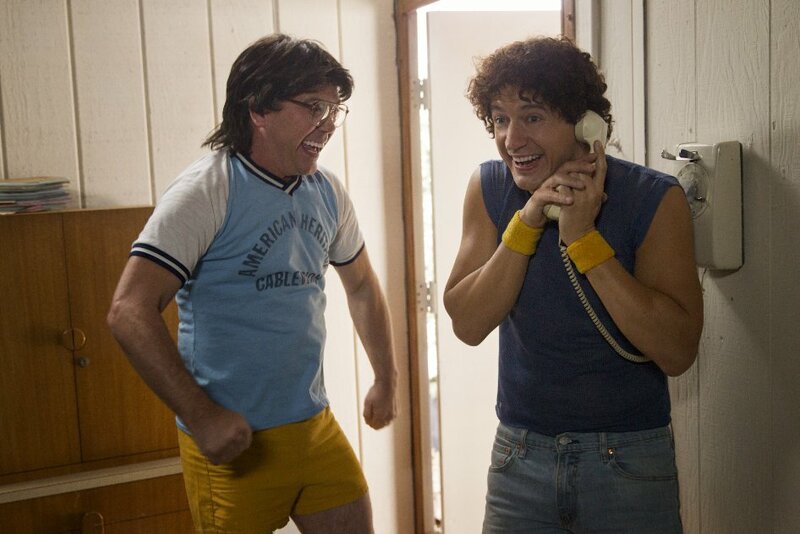 John Slattery's scummy Broadway director and Rob Huebel as David Hyde Pierce's rival feel like they could have been from any number of sitcoms from the 80's, which felt like the point. Let me start this off by saying that there is a plotline involving bright green toxic waste that looks like it came straight out of Teenage Mutant Ninja Turtles. One of the characters even eats it with a spoon, to absolutely no negative effect whatsoever. That is how insane this show can get at times, acting like it belongs in some odd cartoon world and not the world in which we inhabit. One of my favorite running gags in the series is how they play with the characters' ages. They make no point in even trying to explain the varying appearance differences throughout the cast. Michael Showalter clearly looks the worse for wear and it is a joke everyone seems to be in on. He even at one point says "I don't drink, I'm underage" in the most earnest way possible. I swear he even changes weight throughout the season even, adding more layers to the joke. But that could just be me going crazy. The entire eight episode run is supposed to have taken place in one day but the amount of stuff that happens in it would have taken ages. One of the characters gets her period and is suddenly transformed into an adult. At one point, someone pulls out a 2015-era cell phone and all hopes of continuity goes out the window. This. Series. Is. Ridiculous. Tropes are in full swing. From "We have to lose our virginity by this date" to "I'm gonna go undercover for a newspaper article" and everything that comes with them, this series basks in the ridiculous storylines that made coming of age. Elizabeth Banks takes on the Never Been Kissed storyline that feels like a perfect fit for the actress. As much as it's fun to watch the old cast come back together, it's great seeing what new characters were created for the prequel series. Michael Cera and Jason Schwartzman are the obvious standouts with both stealing the scenes they're in. While Jon Hamm may have the least amount of screen time, he brings the funny with every slight movement he does. Camp Tigerclaw is a fantastic addition, taking in a classic summer camp trope of the rival camp. I love the role that Josh Charles has taken in the comedy scene the past few years. He does the same type of role here, and seems to love every minute of it. His interactions with Kristen Wiig are one of the many highlights. I'm not sure if Wiig's role was entirely improvised or not but her comic timing feels as spontaneous as can be. And continuing the tradition of showing up in absolutely everything Randall Park makes an appearance. Now, this is a prequel, so it needs to be explained as to why these new characters are not in the film (which takes place on the last day of camp) and they do that in some of the more "out there" ways possible. While it sets up perfectly for the film that follows it, there's also plenty of room left if Showalter and Wain decide to do another season, which I really hope they do. If neither this article or the incredible trailer above peaked your curiosity enough to seek out this show, then I don't know what to tell you. You are missing out on the reunion of some of the biggest names in not only comedy but Hollywood. Repeat viewing are sure to reveal even more layers to this spectacular comedy. While it stands on its own, it's the true die hards of the original that are in for a real treat, with callbacks galore, and even more quotable lines to throw in with the classics from the movie. Did you watch the Netflix series yet? Give us your thoughts in the comments below!